Fantastic quiet beachfront location, this modern low set beach house backs onto the dune reserve at Mt Coolum. A short flat walk to the beach and cafes, enjoy listening to the sound of waves and birdlife. This single level home is the ideal family holiday home, offering fully ducted air conditioned comfort, four bedrooms and three bathrooms. The two master bedrooms have their own ensuites and the main bathroom has a bath and separate toilet. There is a lovely open plan living space which incorporates the dining space overlooking the pool and trees beyond. 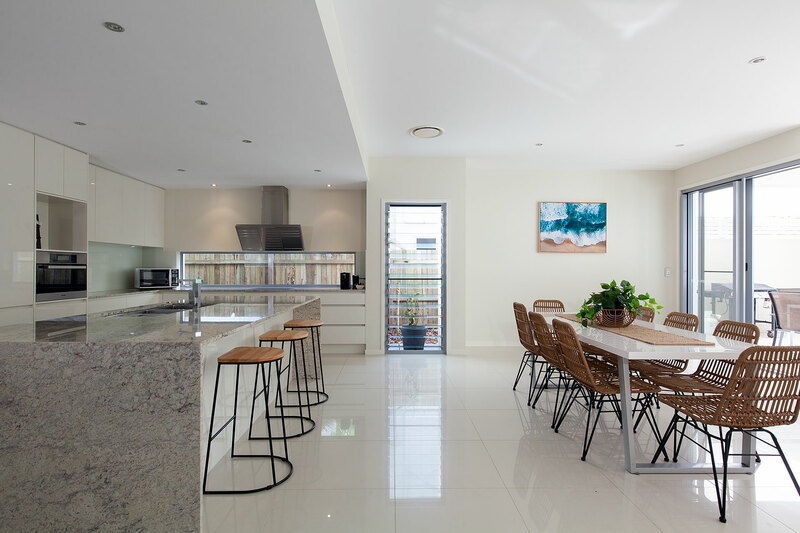 The kitchen is a big modern galley style kitchen with European appliances, stone benches & breakfast bar. Tiled covered outdoor entertaining area with BBQ overlooks the bush and in-ground swimming pool. 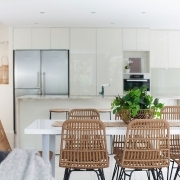 Large open plan galley style kitchen with quality appliance; stone bench tops and big breakfast bar overlooks the dining, lounge, outdoor area & pool. 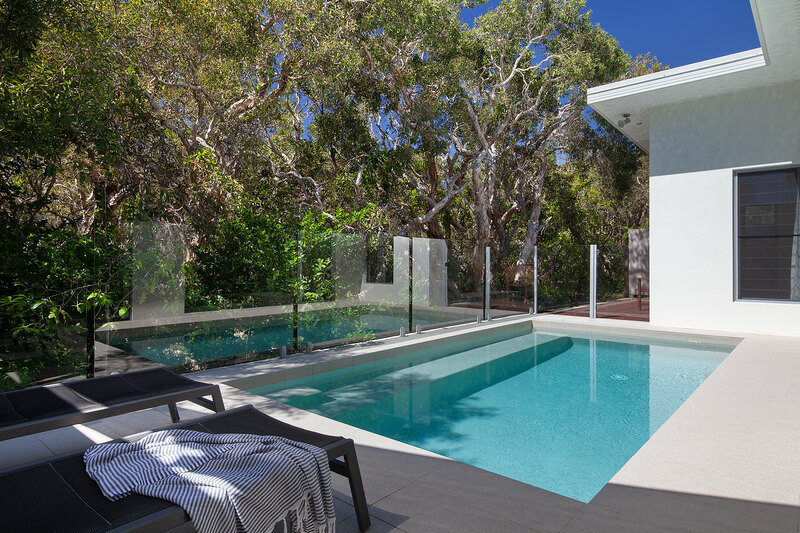 The lounge, dining, kitchen and outdoor areas are in a large open plan space overlooking the pool and bushland. There are three big comfy couches; eight setting dining table inside and the outdoor covered tiled area has an outdoor eight setting dining suite and BBQ.